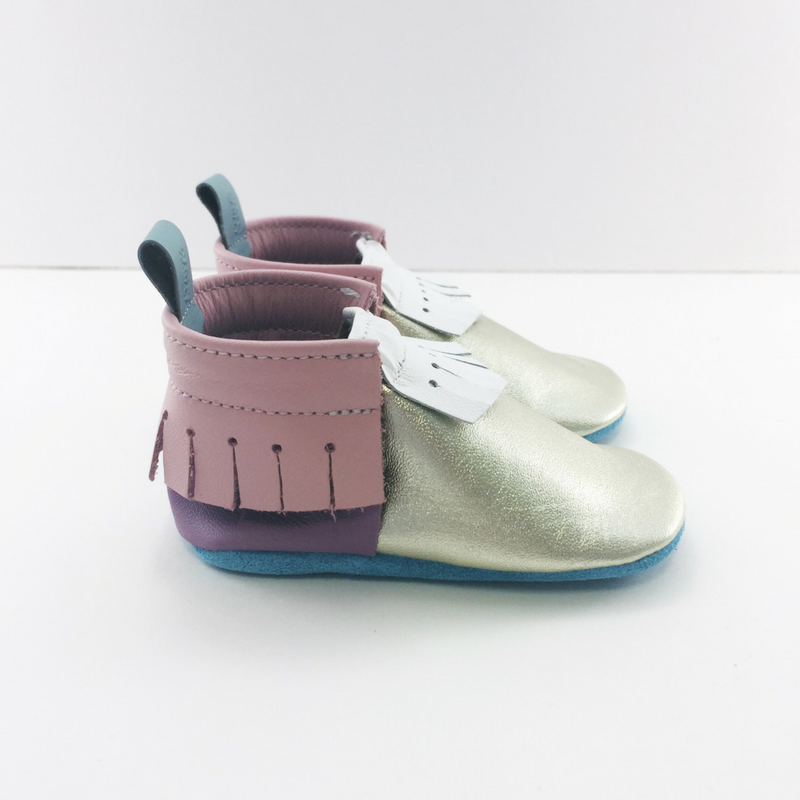 You really don't need a unicorn on these moccasins to see that they were inspired by unicorns! 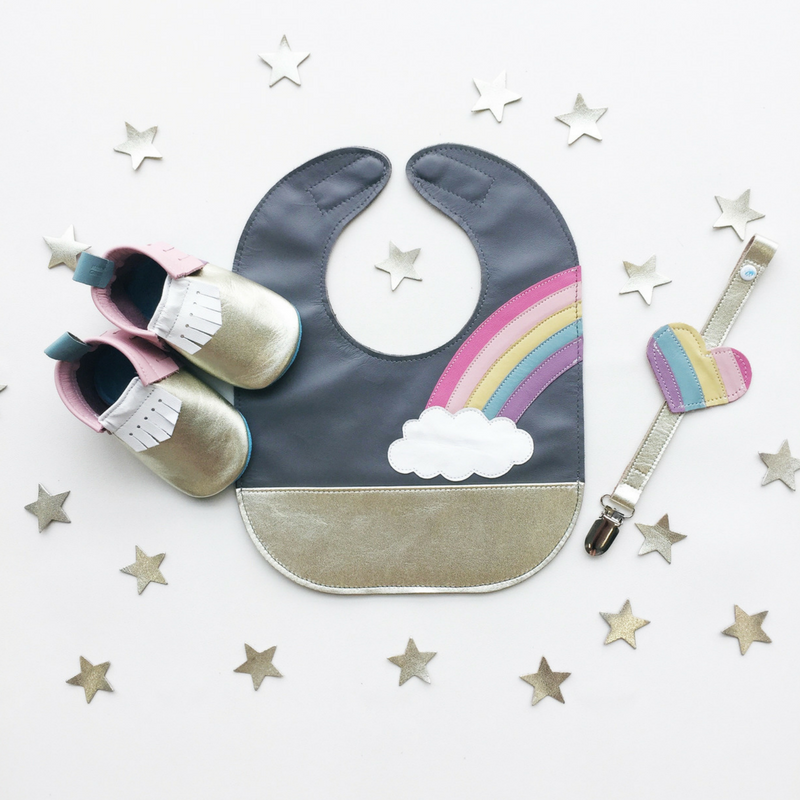 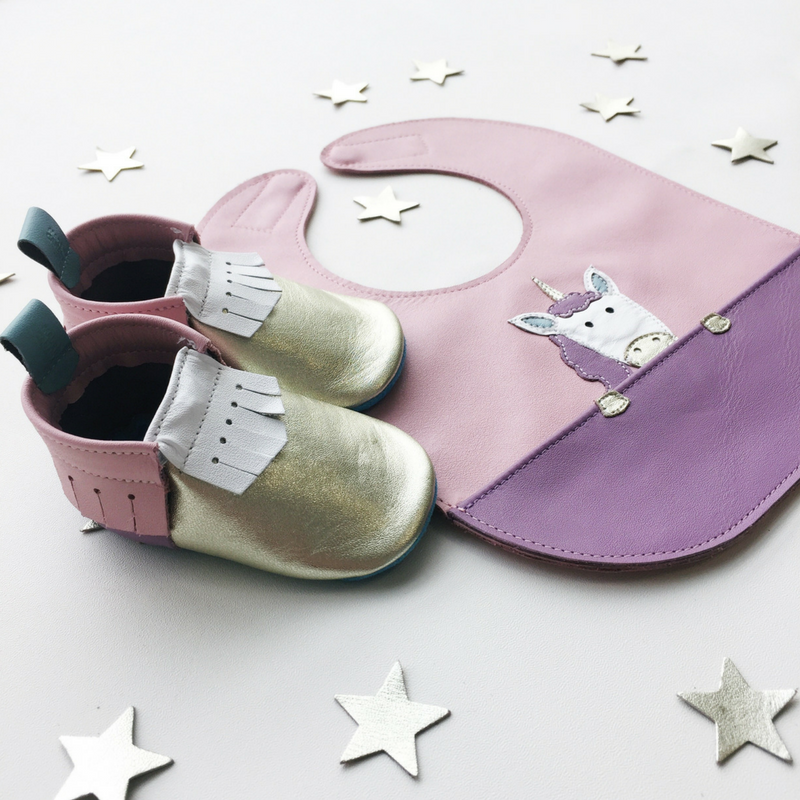 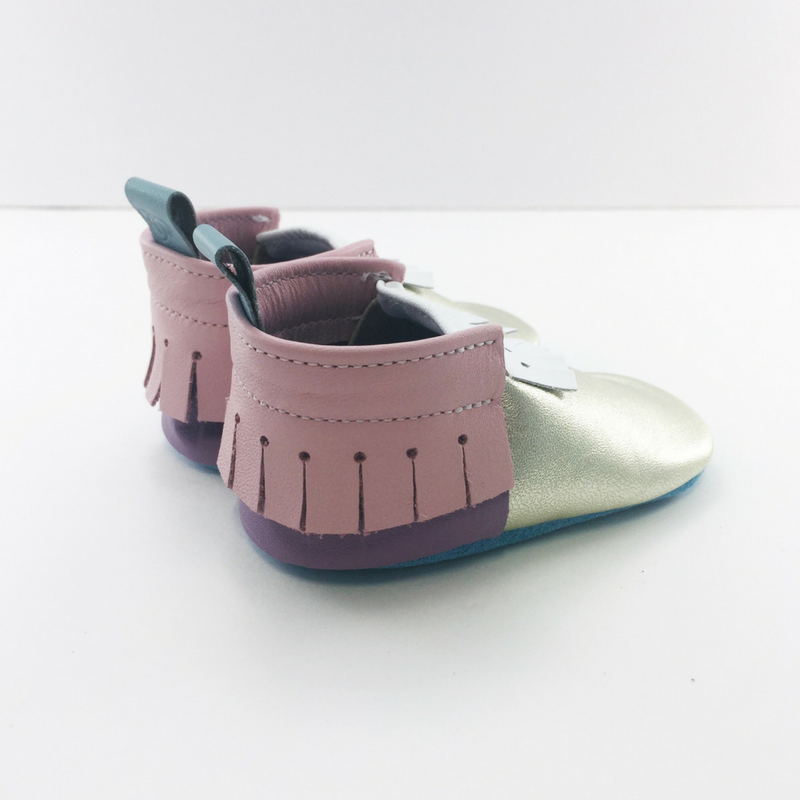 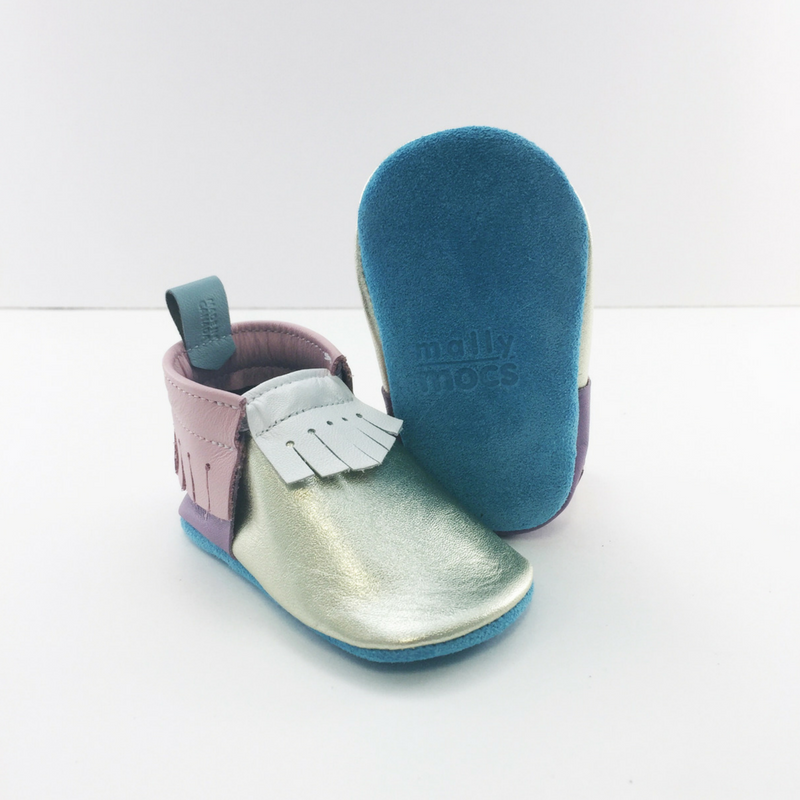 They are made of our 100% genuine baby safe leather in a combination of our super soft 'lux suede' arctic blue leather as the sole, plus a combination of a blingy metallic gold, snowflake, iceberg, seashell and lilac for the rest. 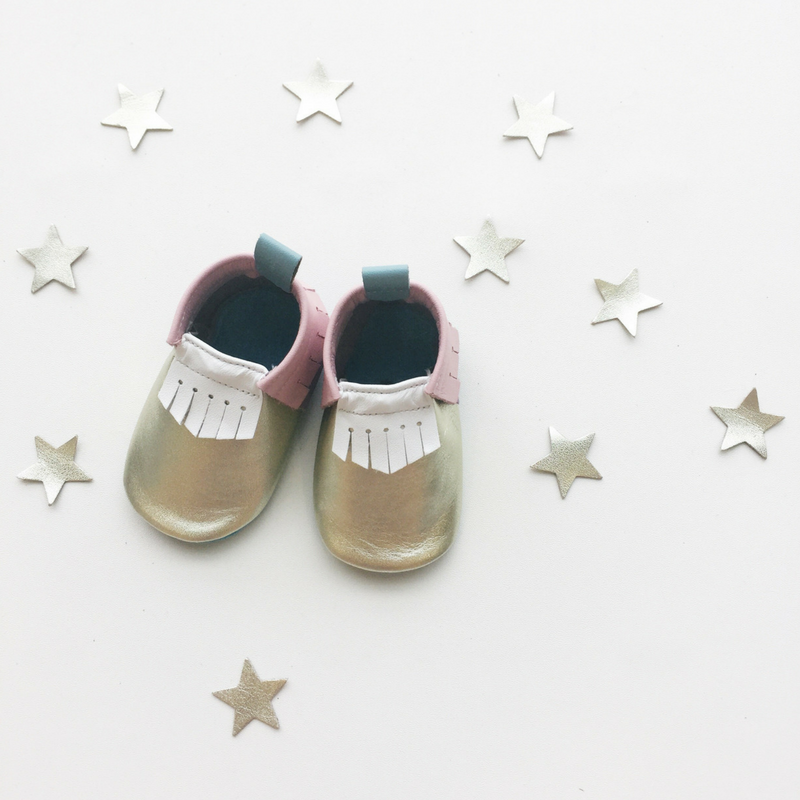 They fit perfectly in our Touch of Gold collection.